What would retirement in South Africa look like? Learn here about the retirement lifestyle you could enjoy in South Africa. we think are some of the highlights for you to consider. For more in-depth information request a call back from one our client managers here. 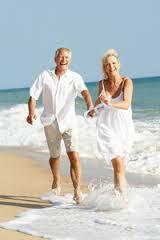 Retirement in South Africa is extremely affordable. Housing prices, although having increased a lot in the last decade, are still below that of most countries with very good locations offering 3 bed roomed homes from approx R1.8 million to R2 million. Of course the more prestigious properties can be far more expensive. Activities such as eating out range from ‘pub’ meals through to some of the finest restaurants and budget wise you may spend anything from R100 per head to R500 per head. Hobbies are also great value; for example, membership to a first class golf course at approx R7000. This affordability stretches to such things as the theatre and cinema and retirees will find that their pension goes a lot further than in many other countries. This is not a subject any of us like to dwell on but as we age it does because important. You can read more on the medical facilities here but in short there are some first class services available. It should be noted that private medical aid is a must but the expense does buy you excellent medical care. Retirement in South Africa brings with it sunshine galore and weather that isn’t too hot or humid. South Africa has a pleasant climate with long sunny days to enjoy your time by the pool, on the golf course or simply relaxing at home. The summer season runs from November to February and the winter months are generally mild and dry. South Africa enjoys one of the world’s highest average daily hours of sunshine at 8.5. One of the wonderful things about retirement in South Africa is the wonderful array of things to (and as above, the climate to do them in). The iconic Table Mountain is just the start of an abundance of attractions on offer. Visit the coastlines of Durban or Cape Town, explore the Garden Route or take a trip through the wine lands. Invest some time discovering more of the history of South Africa and some of Nelson Mandela’s past. Why not catch up one of South Africa’s international sporting events or take a leisurely drive over Chapmans Peak into the Riviera town of Hout Bay. Each of South Africa’s 9 provinces has much to offer so why not spend a few minutes having a look at this website with a comprehensive listing of SA’s attractions. South Africa boasts more than 450 golf courses, some of which are truly first class. For the young at heart the miles of coastline are a haven for swimmers, surfers and boating activities. Whether serious hiking or taking a gentle stroll see here for the top 350 hiking trails. Bowling, cricket, croquet, the list is endless. In South Africa it is normal to employ household staff. Most typically gardeners and maids are paid about R150 – R200 per day. This saves you some of those time time-consuming and heavier chores when you could be enjoying your time with more leisurely pursuits. South Africa has many immigrants from many countries and you will find it a friendly place and welcoming. Language barriers for those who speak English are non existent and those from French, German and Dutch speaking communities will find there are a number of large support and networking groups that will help them settle in. Tax is not a glamorous consideration but all the same, it’s important. Retirement in South Africa would be of little interest to most if it meant sacrificing large amounts of income or savings to the South African Revenue Service. Firstly it is worth pointing out that retired persons immigrating to South Africa do not have to bring any funds into South Africa. Secondly, what you have already built up outside of South Africa does not suffer from any initial taxation. The tax environment is one that is residency based and looks also at where your ‘home’ is. Tax is levied on world wide income and source based income and gains. In other words if the income or gain is in South Africa you will be liable for tax, but a huge advantage is, for example, the treatment of foreign pension income that does not attract any South African tax. In addition, the capital gains tax is comparably low when looked at for other tax jurisdictions, a great bonus and planning tool for those with capital. Most importantly, South Africa has in place many double taxation agreements. Double taxation agreements mean that if you have paid tax in one jurisdiction this payment can be counted as a credit to any tax liability in another tax jurisdiction. Keeping in touch with loved ones back home can be an important consideration. Those who have visited South Africa will already know that the country boasts all the modern forms of communication you will be used to. For new comers whether it is skype, home phones, google talk, internet calls or cell phones South Africa has it all. Getting around is not an issue in South Africa and for the retired who may wish to engage in some travel South Africa has a number of International airports, thousands of kilometres of first class roads, the Gautrain, Rapid transport systems, trains, licensed taxis and drive-you-home services.